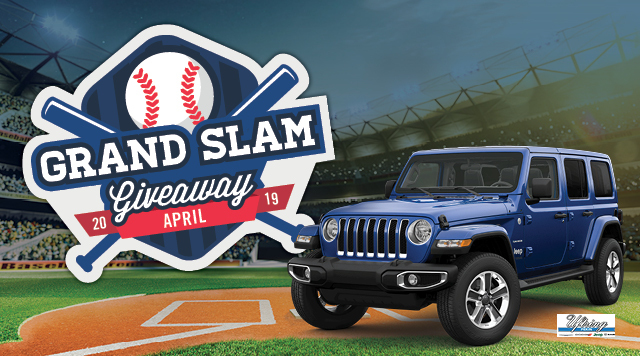 Win a Jeep® Wrangler or $15,000 CASH! Spin the wheel and see if you hit a GRAND SLAM! 6:00pm - 10:00pm l Win $250 - $1,000 CASH! 10:30pm l Win a Jeep® Wrangler or $15,000 CASH! Excluding April 29. Must be present to win. ©2019 Chrysler Group LLC. All rights reserved. Jeep is a registered trademark of Chrysler Group LLC.